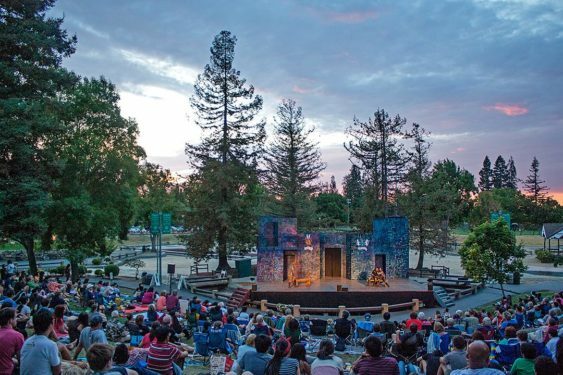 For the 36th season of Shakespeare in the Park, SF Shakes will present a production of A Midsummer Night’s Dream. A Midsummer Night’s Dream follows the misadventures of four young lovers, a group of aspiring actors, and a team of mischievous fairies as they all enter the woods outside Athens on a summer night. The ensuing hilarity and chaos create an evening filled with love and laughter. Bring your family and friends, a blanket, and a picnic to enjoy professional theater at no charge in a beautiful park setting near you.